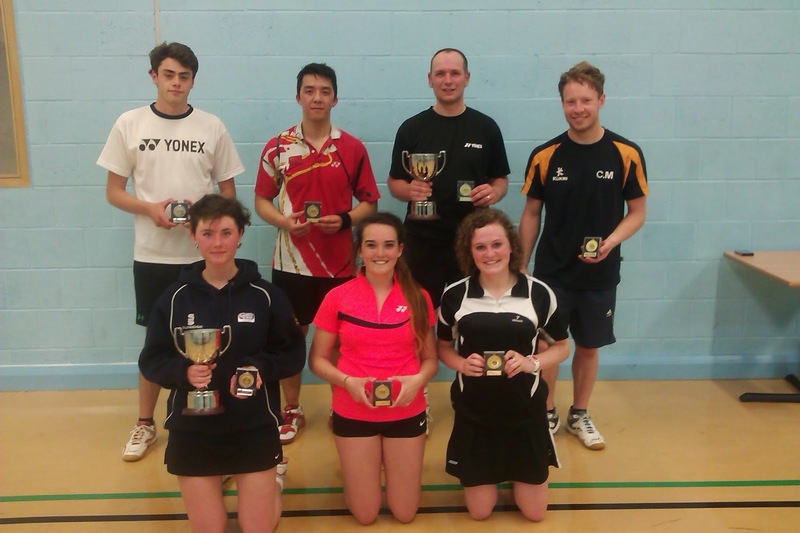 Sunday the 18th of May saw the inaugural West Cornwall Badminton League Championships take place in the Penwith College sports hall - Penzance. 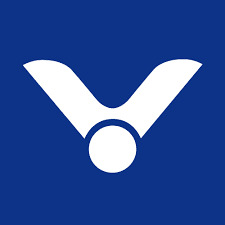 This brand new event hoped to celebrate the increasing number of talented badminton players in the West of the county, with those from five affiliated clubs competing after a long season which started in September 2013 and ended in April 2014. Playing the three disciplines of level, mixed doubles and singles events all being played on one day the event took around 9 exhausting hours. In order not to exclude newer players from the championships, there were 2 separate levels of play comprising of an ‘Open’ category for those who play 1st division league or of a similar standard , and a ‘Restricted’ category for those with less experience. The level doubles commenced at 9am and over the proceeding 3 hours there was some hard fought play indicating that the players were viewing the new tournament as important. 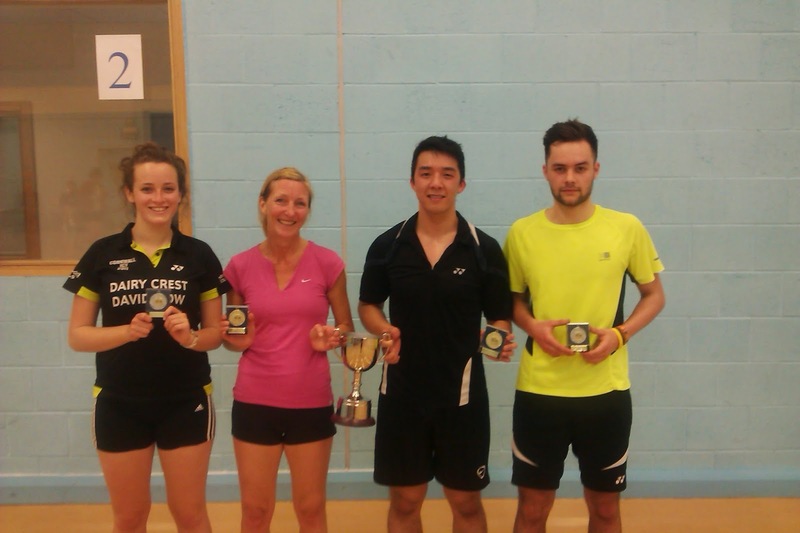 The Restricted level doubles saw the students from the Falmouth /Exeter University campus running out the clear winners in both the ladies and the mens, with Chaz Malyon & Jo Baines and Anna John and Kassey Bull dropping just one set between them. In the Open events it was a closer affair with the Mounts Bay number one seeds of Vicky Thomas and Hester Luke dropping their opening set against Lorna Riggs and Sue Biscoe from Truro. It therefore came down to the final match with the First Edition Camborne based mother/daughter pairing of Kath and Beth Wotton. The Penzance pair ran out the winners and eventually dropped just one point throughout. The mens Open was closer still with number one seeds of Kahoo Tse and Sam Spencer from First Edition tying in both the number of sets won and points won with the unseeded Pool based Tecans pair of Nick Phelps and Alex Smith. Referring to the total points lost in order to divide them it was the Tecans pair who ran out the winners by 13 points – a huge achievement for them. The Mixed followed with a fantastic entrant of 5 pairs in the Restricted and 10 in the Open. The Restricted saw yet further success for the Penryn FXU club with Jo Baines and Kassy Bull defeating their nearest rivals of the First Edition and Tecans duo of Steve Glasson and Tracey Watkinson who took the runner up spot, with some fast and powerful play. The Open category was divided into two boxes of 5. The semi finals commenced and the number 1 seeds of the First Edition and Mounts Bay pair Vicky Thomas and Kahoo Tse, defeated Tecans’ Val Reed and the powerful Chris Glasson in both sets. On the adjacent courts Mounts Bay pair Vicky O’Connell and Trevelyan Searle took on the second seeds of First Edition’s Sam Spencer and Beth Wotton. The tie was very close with the seeds taking the first set 21 – 16. 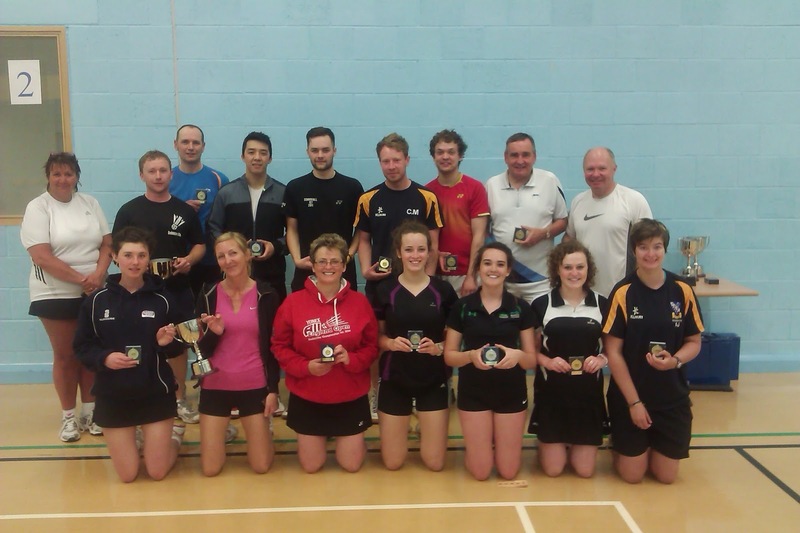 The Penzance pair won the second set but by 21 – 19 meaning that the Camborne players would progress. The final went as per the seedlings and Vicky and Kahoo ran out comfortable winners to take the spoils. The now fatigued players summoned their remaining energy to play the very tiring discipline of singles. There was a low entry in the restricted and ladies open disciplines who were all placed in one round robin box. The Mens Restricted saw Jo Baines taking a hatrick of titles by defeating First Edition youngster Liam Richards. The Ladies Restricted went a similar way with Kassey Bull defeating First Editions young Tamsin Knucky to make it a clean sweep for the FXU players in the Restricted categories. Finally Penzances Hester Luke took the Ladies Open title. The mens Open had 2 boxes of 4 players. The final of Kahoo Tse and Nick Phelps provided a fitting end to the fantastic days play with some amazing power and accuracy – particularly in light of the huge demands that these players had put themselves through during the day. Despite Kahoo’s powerful smashes and fast movement, the experienced ex-county Champion of Nick Phelps was just too efficient in his movement and shuttle placement, winning in straight sets by a convincing margin. The event was supported by the Cornish Oven of Camborne who donated 50 pasties for the players to regain their strength for which we are most grateful. The players will now either play in their summer clubs or have a well earned break until September. 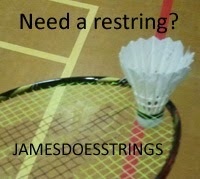 For all those interested in playing local Badminton please visit www.cornwallbadminton.co.uk for details.